Floating container gardens float on the surface of ponds and lakes. 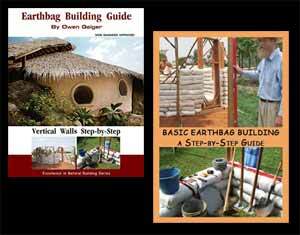 Floating gardens can be constructed of low cost materials such as plastic baskets and buckets tied together with twine. Here are two photos to illustrate what they can look like. 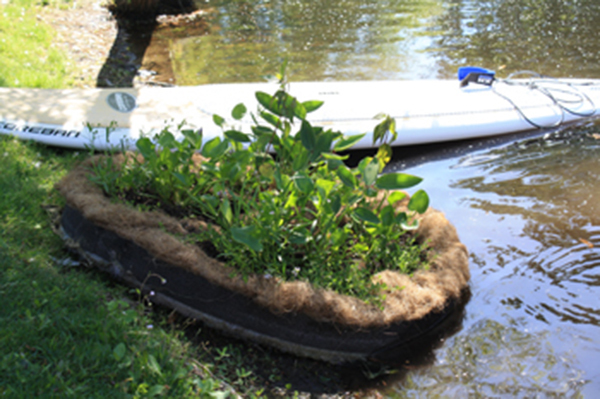 The first photo shows a newly made floating garden and the next photo shows what it looks like after 2 months. There are many advantages to floating container gardens such as never needing to water. If you live in a hot climate like I do then you’ll appreciate how difficult it can be to grow certain plants through long hot summers. The containers are filled with your favorite planting medium. If you’re unsure of what to use, refer to previous articles on our blog about container gardening. Many people use free recycled containers that ordinarily get thrown away. One interesting variation is to simply put the containers in a kiddie swimming pool. If you do this be sure to use non-chlorinated water and take care not to create a breeding ground for mosquitoes. The images above are from Clemson.edu. 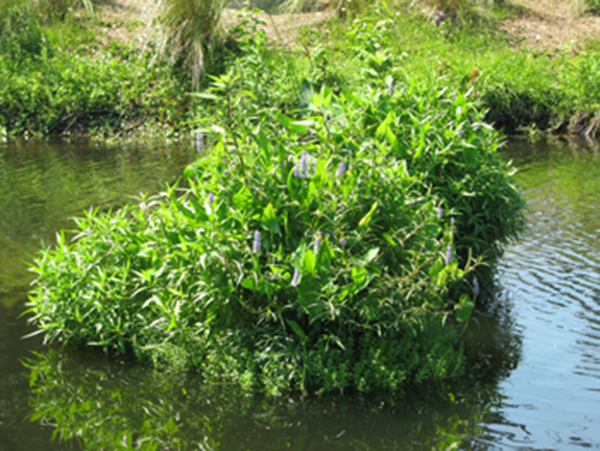 The article explains how to use floating gardens for cleaning ponds, helping wildlife, etc. but it does not address using them for growing food. Another desirable aspect of floating gardens is they would be nearly undetectable by bandits. (A type of guerilla garden.) If by chance something happened to your main garden, the floating gardens would provide a backup. Tie a rope to the floating garden to pull it ashore.